Ask Aneita Gage how it felt to be the only black, female engineering student at San Diego State University in the mid 1980s, and she’ll declare a single word. 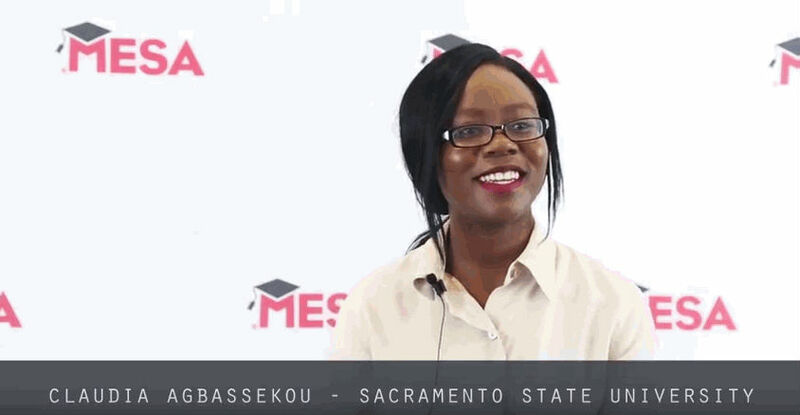 She had to prove to unsupportive professors that she was just as capable as other students and stayed positive through a network of other black and Latino engineering students in the MESA program. She looked up to a recent black, female SDSU engineering graduate and even rented a room in her home. Much has changed for the black female experience since Aneita earned her bachelor’s degree in mechanical engineering in 1987. Media giant Oprah Winfrey debuted nationally in the 80s and became the first female African American billionaire, author and civil rights activist Maya Angelou recited her works during a 1993 presidential inauguration , the Williams sisters smashed the 2000’s stereotype of what a tennis player looks like, and America’s first black president served two terms in the 2010s, helping to bolster equal pay issues for women. On the eve of 2017, book-turned-movie Hidden Figures, shared the largely unknown story of the black women who helped NASA win the space race. The film broke records in theaters, and renewed the conversation that despite many achievements, diversity in general — and in STEM fields in particular — there is still much work be done. We all know STEM jobs are on the rise. Technology companies will need to fill more than 650,000 new jobs by next year alone. And while more women than men are enrolled in all U.S. undergraduate programs today, just 18 percent of women earned a bachelor’s degree in engineering as recently as 2012. The number was even lower for Hispanics (8 percent) and for blacks (4 percent). Claudia Agbassekou is determined to nudge that 4 percent upward. Thirty years after Aneita completed her degree, Claudia — a second year electrical engineering major at Sacramento State University — has a similar story to tell. Claudia said she didn’t think of herself as a leader until MESA gave her a little boost of confidence and tools to succeed. “I don’t want to quit just because someone is discouraging me or doesn’t want to hear my voice,” she said. MESA exists for Claudia and all MESA students to push forward and strive for greatness even through adversity — just like Aneita Gage. Aneita’s path included masters degrees in business administration and industrial management from Rochester Institute of Technology, a successful 23-year career with Intel and the passion to give back to the program she credits as her source of strength. Let’s continue to shine that light on students like Claudia: our future engineers, our future leaders. Our hidden figures.